So, I have 6 days until my flight back to the U.S from Italy. My head is filled with so many mixed emotions as I am excited to finally see my dog again and sad that my first trip out of the country is ending. From my experiences abroad, I have learned so much and I have no doubt in my mind that these experiences will affect the rest of my life. Here are some of my most valuable take away’s from Study Abroad. You come to an unknown city, not knowing anyone, and are thrown into the same situation as 60 other students from all around the U.S. This experience is what you make it. You have to come with an open mind and be willing to compromise on things such as your travel destinations. I love all the people in my program. Everyone got along pretty well and there were no major conflicts. It’s sad to think that in just 6 short days we will all depart Europe and go home, possibly never seeing one another again. It is, however, important that I made these connections all throughout the U.S and met a lot of people with a lot of different backgrounds. Everyone always said that Study Abroad classes were cake and easy to breeze through. I would like to just put it out there that I had a different experience. I’m sure it was my choice of classes. Italian was a new language for me and all the basics crammed into 5 weeks was a challenge. I will admit it was a tad easier with my background in Spanish and being in a city that barely speaks any English. My international Marketing course was far more than interesting and the teacher was great. She was someone who had studied in the program when she was in college and now owned her own business operated out of Milan. I will admit that this class was one of my favorite college courses taken thus far, despite the crazy work load. It also helps that UofL classes abroad transfer back as pass/fail, this made things somewhat less stressful. While here, I have traveled to many cities within Italy. Venice, Verona, Milan, Santa Margarita, Portofino, Alba, Cinque Terre, La Spezia, Santa Marinella, Genova, and the Langhe Area of Piedmont to be more specific. All of these cities have something to offer and I highly recommend them all, if possible. My favorite was Portofino. It is a very small village off the Italian Riviera Coast. The Hike to the top can be a bit much, but the view of the ocean is definitely worth it. Also, if you find yourself in the Cinque Terre, don’t hesitate to take the 2 hour hike from Monterosso to Vernazza. I almost died from the rugged and long hike, but the views along the way kept me motivated. Lastly, Save! Save! Save! Study abroad is expensive and this may be discouraging to some. I encourage you to plan ahead and budget your money very wisely when you get there. It is important to ensure that all your bills and obligations back home are taken care of as well. This may include rent, your phone bill, your car note, etc. Apply for scholarships, and remember the motto “You win some, you lose some.” Be thankful for whatever aid you do get. If you start early enough you can maybe even start a gofundme account for yourself. However you do it, just make sure to be considerate and think of the donors while abroad. A simple post card or key chain with a personal letter can make them feel even better about their donation and encourage them to donate again! 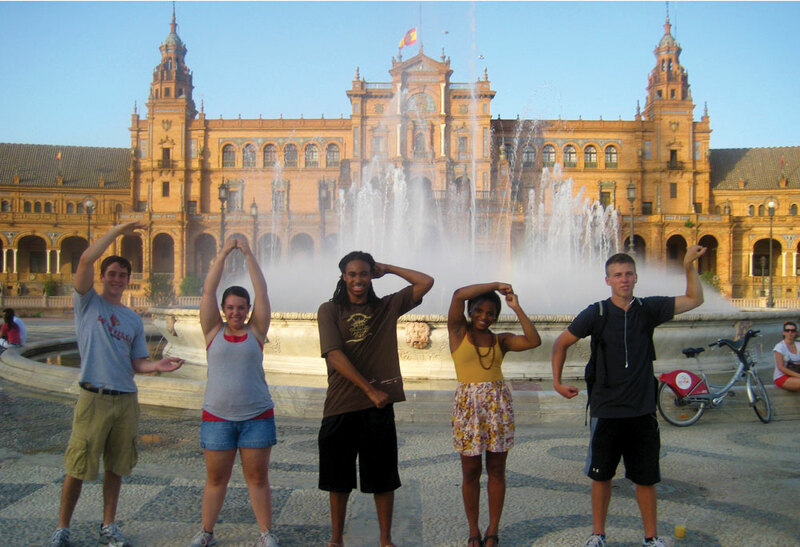 This entry was posted in Study Abroad by ocweat01. Bookmark the permalink.